Frasier: Six months ago, I was living in Boston. My wife had left me, which was very painful. Then she came back to me, which was excruciating. Frasier: I do, I... I like her from a distance. You know, the way you like the sun. Maris is like the sun... except without the warmth. Niles: Remember what mom always said: A handshake is as good as a hug. Frasier: the rest of the show was pretty good. It was a good show, wasn't it. Roz: Here, your brother called. Frasier: Roz in the trade we call that avoidance. Don't change the subject. Tell me what you think. Roz: Did I ever tell you what this little button does? Roz: Let's see. You dropped two commercials, you left a total of 28 seconds of dead air, you scrambled the stations call letters, you spilt yoghurt on the control board and you kept referring to Jerry with the identity crisis, as "Jeff". Frasier: You say my brother called. Dr. Frasier Crane: Oh Roz, you look beautiful! Dr. Frasier Crane: But we're not going. Dr. Frasier Crane: It's got something to do with my personal growth. You see, I don't care about these people anymore and you know, I want them to know it. Roz Doyle: Frasier, I hired a babysitter... twice, I did my makeup... twice, I performed a miracle of engineering by taping myself into this dress... twice, only to be stood up... twice! Dr. Frasier Crane: Roz, technically you only did your hair once. Roz Doyle: You know, some day you're gonna need another favor from me, buddy, and when that day comes, I hope you know what you can do with it. Dr. Frasier Crane: I have a pretty good idea. Roz Doyle: Well, DO IT TWICE! Frasier: Hello, Ethan. I'm listening. 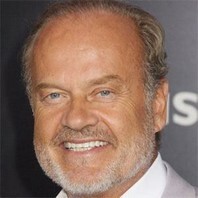 Frasier: How old are you? Frasier: Well, what can I do for you? Ethan: Well, I'm having a lot of problems with the other kids at school. They're always beating me up. Frasier: Why do you think that's so? Ethan: Probably because I'm smart. I have a 160 IQ. I'm in the astronomy club and I hate sports. Frasier: Well, you know, Ethan, the other children are just acting out of jealousy and immaturity, and I know it doesn't help much right now, but the day will come in the next few years when you will have the last laugh. Ethan: Frankly, Dr. Crane, I find that advice patronizing, simplistic and, in all candor, uninspired. The real surprise here is that they pay you to dole out this balloon juice. Frasier: Ethan, where are you calling from? Frasier: Well, if any of Ethan's classmates are listening, you know where he is, and he can't stay in there forever. Thank you for your call. Frasier: So, how do the calls look today? Roz: Well, we've got a couple of jilted lovers, a man who's afraid of his car, a manic depressive, and three people who feel their lives are going nowhere. Frasier: Oh, I love a Monday. Frasier: You know, I guess I better get packing. Martin: What're you talking about? You got your bags right there. Frasier: No, Dad, these are my "Daddy" clothes. I have to go and pack my "Come to Daddy" clothes. Martin: [smugly] How come you can fly to Hawaii, but you can't fly to England? Gertrude Moon: How come you can drive your car, but you can't do your own laundry? Martin: I can't do my own laundry because I can't carry the laundry basket AND my cane at the same time. That's what I should have said!